The Hipergrip„ from Hiperfire is an ergonomically enhanced replacement for your AR-15's pistol grip that gives you a more comfortable hold and better control than the one-size-fits-all A2 grip. Designed to rest comfortably in the hand without putting unnatural strain on the wrist, the Hipergrip„ promotes a natural, unstrained trigger finger position that helps you maintain better trigger control. 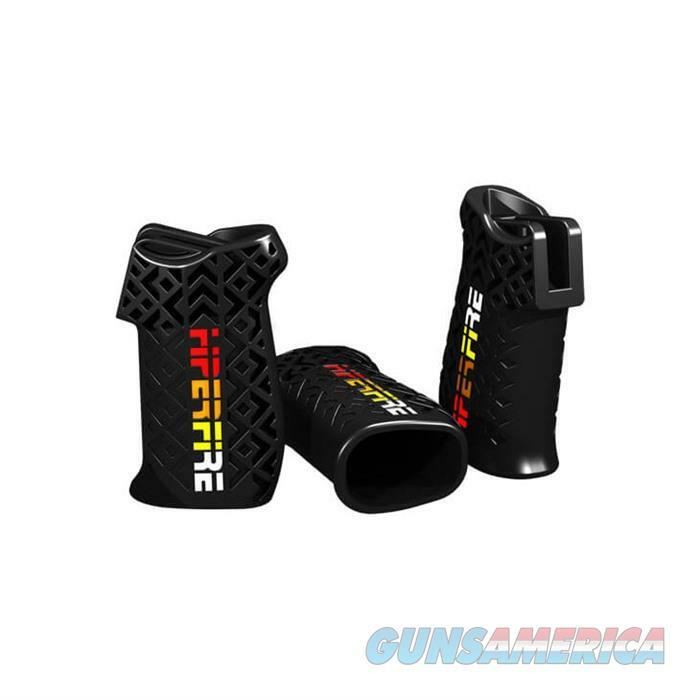 Made from an advanced molded hard polymer, the Hipergrip„ comes in four variations: a smooth-textured Standard model with or without the eye-catching red-yellow-white Hiperfire logo OR for an even better hold a non-slip Textured model with the same logo/no-logo option. The polymer is hard enough that ALL models can be modified with the careful use of abrasive tools to fit a specific user's hand.